PUBG is in trend since its beta version has launched. It’s also known as Player unknown battlegrounds. In that game, you can play worldwide with team, squad, dual and solo. There are too many different servers in the Game from you can connect and Play. Like Asia, South America, AWS China, Korea, Japan and more. The most popular one is Asian because its big area than other and you will face a huge challenge in that server. But most of us cannot enjoy the PUBG Mobile on PC or I should say can play efficiently. Because Android phones didn’t have comfortable controls. Yes, you can buy Joysticks and attach to your phone but that usually cost you money and I think most you will not concert with it. So, if you have a PC or Laptop then you can enjoy the PUBG Mobile game on your PC. This can be done by emulators and by installing Android OS on PC. In today’s article, we will guide you on both; In Android OS and Emulator. Let’s start this article with the explanation of Android OS and Android Emulator on PC. 0.1 What is Android OS and Android Emulator on PC? 0.2 Android OS Vs Emulator for Playing PUBG mobile on PC? What is Android OS and Android Emulator on PC? 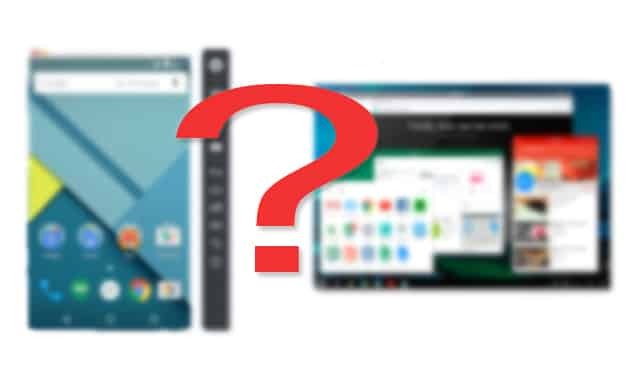 Android OS and Android Emulator are not much different than each other. However, both play the same role, With Android OS you can completely change the system and convert the PC into Android by installing the Android OS. And Android emulator installs a Virtual Android Phone on PC in which you can play Android games like PUBG Mobile. In Android OS, you can only use Android apps and if you wish to use PC software then you should install or move to Windows by rebooting the system. In Emulator, you can play games anytime without switching the OS. You just need to start the emulator on your Windows PC, wait for the Engine to launch and start the Game. No need to install any OS that takes quite times. But having the emulator on PC require powerful CPU and RAM. Then you can only play Games without any lag. Android OS Vs Emulator for Playing PUBG mobile on PC? Honestly, both have their own disadvantages and advantages. And so, we can know what best for us by clarifying them. 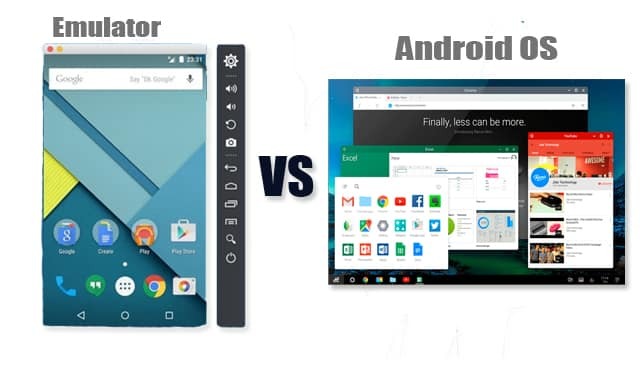 So, basically, here I will show you the advantages and disadvantages of Android OS and Emulator. By knowing their pros and cons you can decide which one will fit best for Playing PUBG mobile on your PC. So, let get started. There are many advantages of playing PUBG mobile game on PC using the emulator. The most beneficial is the controls. Yes, Emulator on PC can provide you with more comfortable controls while playing. However, you can set every key of action, like shooting with the mouse, moving around with W, A, S, D. And most importantly, you can play PUBG game fast by customizing every action on the game accordingly. Unfortunately, there are bunch of disadvantages of using the emulator on PC for playing PUBG game. The very first one is Lag. There is a high chance that if you playing PUBG mobile on PC using the emulator, the game may not run properly or lag. However, most of the emulators consume too much RAM and leaves nothing for any other extra task. Even I have faced very bad lag on Emulator while playing PUBG mobile on it. My computer is not very old and it has inbuilt graphics card which has VRAM around 512Mb. I have played soo many high-quality PC games without any Lag like Crysis 1 – part 2, and part 3. And my PC is also able to Run Battlefield 4 with low settings. The problem or a big disadvantage with the emulator is its consume too much RAM and processors and when we run high graphics game like PUBG, its lag very bad almost on every PC that built before 2015. Now, let me show you the advantages and disadvantages of Android OS for playing PUBG mobile on PC. Android OS is same as an Android operating system once you install it on your PC. You will see that everything has changed and looks similar to the Android device one you have. And that’s where you can enjoy PUBG mobile game in high graphics without any lag or issue. However, Android OS is perfectly or fully customized for Android games whether its high graphics or low graphics. Another advantage is you can customize the PUBG mobile to control and set everything to keyboard control. Means, you will be playing the game on an Android operating system but accessing the PUBG mobile with the PC mouse and keyboard. And this can drastically enhance the PUBG mobile game experience. The biggest disadvantage of Android OS for playing PUBg mobile on PC is you need to change or move to another operating system on your PC. And that’s most of you don’t want in my opinion. But I definitely bet on the gamers one will go any far for playing the PUBG Mobile on PC. Another disadvantage of Android OS is you need to perform some hard tasks in order to have Android OS installed on PC. Most of the PC built that made before 2015 have rarely support to install Android OS. In my case, I can’t install the very official Android Os which is Phoenix. But there are the alternatives that I’m able to run and install in my PC like Remix OS. This one is I think better than Phoenix OS and I’m sure that Remix OS will Run on any low-end and old PC. The installation will get little hard for some who don’t have any technical knowledge about PC. But if you follow some videos and guide from Web. You can definitely install without any fear and tension. There are tons of tutorials are available on YouTube that teaches how to install Android operating systems like Phoenix and Remix. So, hopefully, I have cleared the battles that were running in your mind that which one is the better and best medium for playing PUBG mobile game on PC. Now, let me show you the best methods to play PUBG mobile game on PC. Download the Remix OS file from the official website or third-party site. Make a partition from your Hard drive for storing the Remix OS directory. Install by following the installation steps from here. Restart your PC and select the Remix OS option to start it. Once you booted into Remix OS, set the Play Store up and running. Start the PUBG installation and Play it. Remix OS is discontinued because of some issue but you can use it by downloading it from third-party sites. Make sure you set the settings of PUBG mobile accordingly after launching the game. 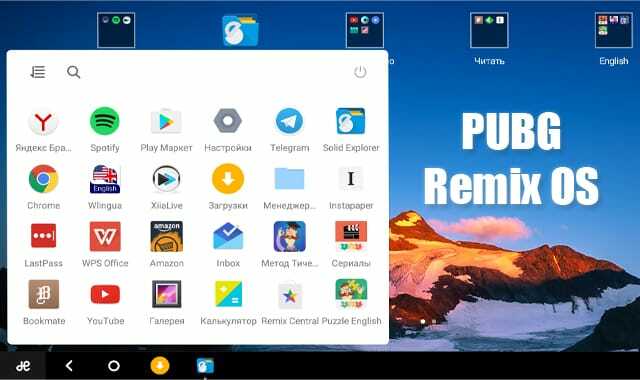 Just follow the above steps to install Remix OS on your PC and Play PUBG mobile on it. Firstly, download the Tencent gaming buddy installer from the official website. It’s recommended downloading from there because you will download the latest version always. Install it by opening the installer on your PC. It will take time to download and install the real Tencent gaming buddy emulator. Once downloaded, open it up and you will see the PUBG installing recommendation. Just tap on PUBG install button and wait for downloading and installing. It will take your 1.5Gb of data for installing the game. So, have some good amount of internet data on your data balance. Once downloaded and installed, you will see a button to play PUBG. Just tap on it launch the Game on the emulator. That’s it. Make sure you must try this if you have medium-end PC. Also, try to adjust some graphics quality from the PUBG mobile settings to get smooth gaming experience. Now, let me show you the last and top method to play PUBG Mobile on PC. First and foremost, download the installer from the official website of Phoenix OS. You will get the download complete on Mega file provider. Once download complete, make a partition on your PC with NTFS disk type. Run the Phoenix OS which you just downloaded. Click on install and select the Hard drive you just created. Hit final install and wait for it to complete the install. It will take some time which usually depends on the PC performance you have. Once installation complete, you will get a reboot button that you need to tap on in order to start the Phoenix OS. 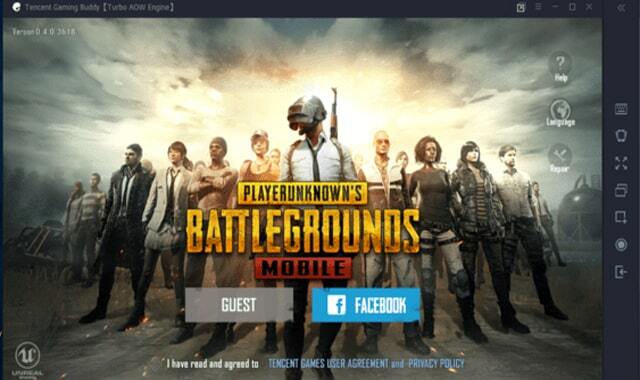 After booting up into the Phoenix OS, make a Play Store account and install the PUBG mobile game. It will take out 1.5GB data from your Data balance. Once the game installed, run it and set the settings according to your needs. That’s it! If you have low-end or Medium-end PC then I highly recommend trying this Android operating system for playing PUBG mobile game on your computer. It just works fine! Make sure you customize everything under PUBG mobile to make the gaming experience double. I have provided you the top 3 ways to Play PUBG mobile on PC that give zero lag. 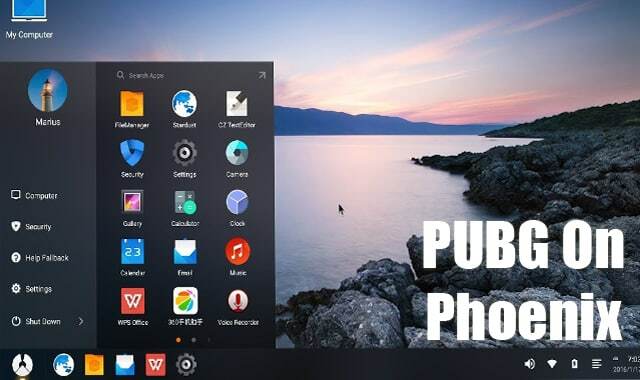 There also some other method which works great as you can also play PUBG mobile using BlueStacks and Nox Player emulator. Moreover, if some suggested method doesn’t work for you then you can try the alternatives of the emulator and OS I have listed. Because sometimes, alternatives work better. Hopefully, You liked this article? If so, please share and comment below if you have any question in your mind. I’ll see you in the next article.